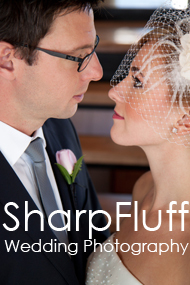 Smart Bride tip: Pay for deposits with credit card and protect yourself! Most wedding vendors require a deposit on reserving their services for your big day. Sometimes, they will offer you a discount for paying this deposit in cash. This is because it’s cheaper for them to take cash payment than credit payment. But here’s a tip for brides: by paying with your credit card, your purchase is protected if the company goes bankrupt and doesn’t deliver the goods/service you order. You can call up your credit card company and dispute the charge. Even if the company has no funds in the business account to return your deposit, this money will be refunded to you by the vendor’s credit card payment processor. Sometimes, a cash discount is something you’re willing to take a risk on in order to make the most out of your budget, especially if you know the vendor well (e.g. it’s a personal friend) and the service you’re booking is only a week away. But it’s never fool proof! Ruby restaurant was a long-standing and popular Chinese banquet restaurant, yet no one could have foreseen the incident which led to its filing for bankruptcy. Where I was given the credit card option, I took it! Know all your options and choose the right one for you. This goes for booking your honeymoon too! My heart goes out to brides who have made a deposit with Ruby and now have to scramble to find a new venue and struggle to get their money back.